They aren't afraid to grab the mic. On "The Toast Derivation" episode of The Big Bang Theory, Sheldon took the karaoke mic after geeking out with James Earl Jones over all things Darth Vadar. 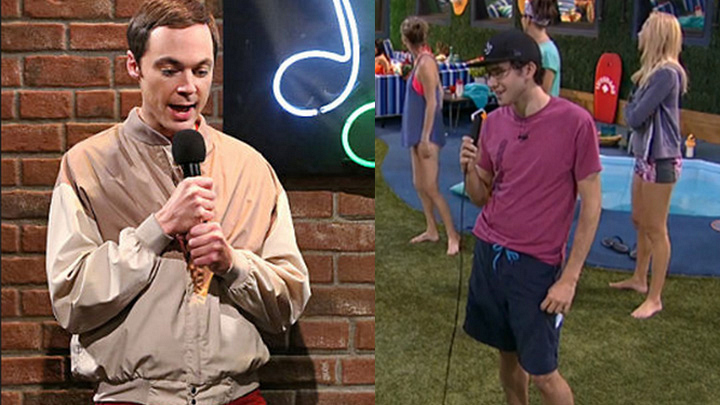 However, no such sci-fi incentive was required for Steve to voluntarily answer some questions in the Big Brother backyard as part of the Houseguests fake podcast.